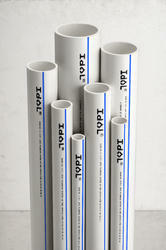 From our wide consignment, we are engaged in supplying "UPVC Water Pipes". We are a well-known firm engaged in providing a wide array of Plumbing Pipes to the clients, which is extensively used for protecting small plants from cattle and other wild animals. These products are available in various shapes and sizes as per the requirements of our clients. The offered range is widely used in individual homes, commercial complexes, offices, flats, hotels, and hospitals. Customers can avail these pipes as per their needs. We are offering for UPVC Plumbing Pipe in our clients. Sugar, Paper and Distillery Industries. Good Thermal and Electrical Insulation. Safe for Pure and Hygienic Water Supply. Special Coloured Line Marking to Identify Right Product. Size (1/2") Inch to (3") Inch (Available in 40 Schedule and 80 Schedule). We are a well-known firm engaged in providing a wide array of UPVC Plumbing Pipesto the clients, which is extensively used for protecting small plants from cattle and other wild animals. These products are available in various shapes and sizes as per the requirements of our clients. The offered range is widely used in individual homes, commercial complexes, offices, flats, hotels, and hospitals. Customers can avail these pipes as per their needs. 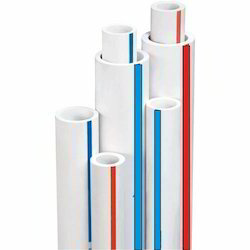 Our organization manufacture and supply a wide assortment of Free Flow UPVC Plumbing Pipes to our valuable clients. Owing to their features like durability, corrosion & abrasion resistance, these products are widely acclaimed by the customers. These pipes are easy to carry and can be install in the desired space. The offered range are also available as per the specification detailed by the clients. All the products are checked on various parameters to ensure these are in accordance with the international quality standards and norms. We are a well-known firm engaged in providing a wide array of uPVC Plumbing Pipes to the clients, which is extensively used for protecting small plants from cattle and other wild animals. These products are available in various shapes and sizes as per the requirements of our clients. The offered range is widely used in individual homes, commercial complexes, offices, flats, hotels, and hospitals. Customers can avail these pipes as per their needs. We are a well-known firm engaged in providing a wide array of UPVC Pipes to the clients, which is extensively used for protecting small plants from cattle and other wild animals. These products are available in various shapes and sizes as per the requirements of our clients. The offered range is widely used in individual homes, commercial complexes, offices, flats, hotels, and hospitals. Customers can avail these pipes as per their needs. 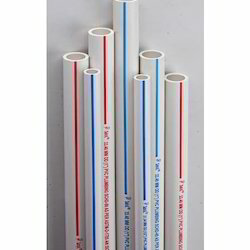 Our organization manufacture and supply a wide assortment of Easy Flow UPVC Plumbing Pipe to our valuable clients. Owing to their features like durability, corrosion & abrasion resistance, these products are widely acclaimed by the customers. 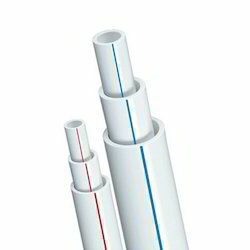 These pipes are easy to carry and can be installed in the desired space. The offered range are also available as per the specification detailed by the clients. All the products are checked on various parameters to ensure these are in accordance with the international quality standards and norms.